It took a while, but Japanese developers are finally coming around to the PlayStation 4. During yesterday's pre-TGS 2014 press conference, Sony announced a handful of huge titles from Japan for the next-gen consoles, hopefully putting to rest the worries that Japan would be totally sacrificing the floor to their booming Western counterparts this generation. Without a doubt, the biggest reveal of the night was Shin Megami Tensei: Persona 5 coming to the PlayStation 4. The game was originally confirmed for just the PlayStation 3, leaving fans to wonder if they would have to hold on to their old consoles if they want to play it. In addition to being wonderful games, both Persona 3 and Persona 4 were widely praised for being released well after the peak of the PlayStation 2's reign and yet still giving the console a reason to remain on shelves. Of course, they both eventually came to the PlayStation 3 digitally, but half of the allure was how Atlus used an aging console to make one of the most engaging games of the year… two years in a row! You have to wonder if Persona 5 is going to have that appeal now or not. This generational shift is different though because plenty of other companies are still releasing PlayStation 3 games. Persona series chief director Katsura Hashino also addressed fans with an extended letter on the series' official blog, translated by Siliconera. Hello, everyone. This is the Persona Team's Hashino. 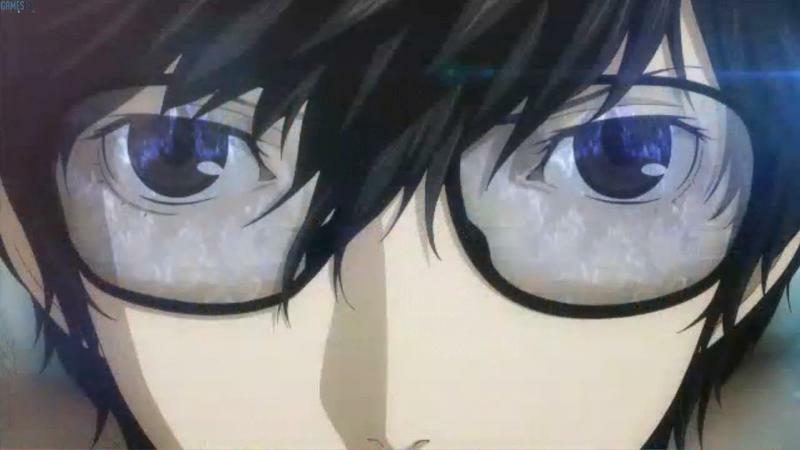 While it was sudden, during the conference that was held by SCE earlier today, they showed a trailer for the Persona series' latest main numbered title, Persona 5. The setting is reversed from the previous title, as the title will depict the lives of youths living in a setting of a big city. I apologize for only being able to show so little, but it would make me happy to know that you all have been able to get a glimpse of the game's atmosphere. Persona 5 was announced last year, and in addition to the release for PlayStation 3, we're currently developing a PlayStation 4 version to release simultaneously in 2015. Furthermore, it's very regretful that we'll keep you guys waiting (I'm sorry ; ;), but I believe we'll have a great game that will remain in your hearts. While this may seem presumptuous to mention in the midst of all the high expectations, I am in charge of the direction of the game, following Persona 3 and Persona 4. Also returning is character designer [Shigenori Soejima] who worked on the previous title, and [Shoji Meguro] in charge of music, and together with trusted and reliable staff members, we're pushing forward and working hard. Personally speaking, after directing Catherine, I was supposed to prepare for making titles on HD consoles… but that's a story from a very long time ago. Since then, we've worked together with the team staff on developing various titles, and each one has exceeded my expectations. In addition to the folks at Aniplex who've produced our anime, we are very fortunate to have so many projects and support, and I'm truly grateful. I believe that it is a result from all the support from the fans. Thank you very much. Again, I'd like to take this opportunity to express my gratitude to the Atlus fans who've been supporting us since the past. As you may know, the current series saw a change in production staff back in Persona 3, from visuals, music, to a new view of the world. In those days, there was a great deal of uncertainty, and even with all the pros and cons, we were blessed with many fans who've continued enjoying and supporting us, since the early days to the latest titles. On behalf of the development staff, I'd like to thank you all from the bottom of my heart. I hope that we'll have something that will bring you all plenty of joy, and I also hope you all look forward to its completion. Thank you for your continued support! Shin Megami Tensei: Persona 5 will be released for the PlayStation 3 and PlayStation 4 in Japan in 2015. Despite probably taking in the ballpark of 100 hours to beat and sporting a huge script itself, similar to another RPG out there, you can bet that Atlus isn't going to overlook the audience of this game in the West. Keep an eye out for an English release not long afterwards.